Milton Mueller is Professor at the Georgia Institute of Technology School of Public Policy, USA. His research focuses on the political economy of the Internet, including property rights, institutions and global governance in the communication and information industries. He has conducted research on IP address markets and policy, the policy implications of Deep Packet Inspection technology and the security governance practices of ISPs. His book Ruling the Root: Internet Governance and the Taming of Cyberspace (MIT Press, 2002) is considered the definitive account of the political and economic forces behind the creation of ICANN. His 2010 book Networks and States: The Global Politics of Internet Governance, tracks the Internet governance debates after the World Summit on the Information Society. 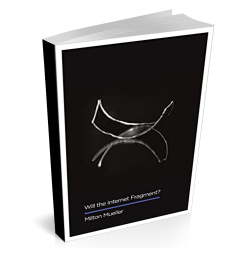 His most recent book, Will the Internet Fragment? will be published by Polity Press in 2017. One of the founders of the Internet Governance Project, Mueller has played a leading role in organizing and mobilizing civil society in ICANN and OECD. He was co-founder of the Noncommercial Users Constituency and has twice served as its chair. He was elected to ICANN's GNSO Council, has worked on various task forces and working groups in ICANN, and served on the Advisory Council of Public Interest Registry (.org). From 1998 - 2015 he was Professor at the Syracuse University School of Information Studies, where he was awarded the Meredith Professorship and from 2008 to the beginning of 2011 he was XS4All Professor at the Delft University of Technology, the Netherlands. Mueller received the Ph.D. from the University of Pennsylvania in 1989. Milton L. Mueller, "Critical resource: An institutional economics of the Internet addressing-routing space." Telecommunications Policy Vol. 34 (2010) 405–416.